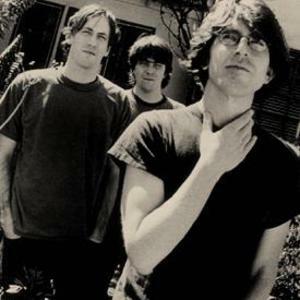 Sebadoh is an indie-rock band originally formed in 1986 in Westfield, Massachusetts, by Dinosaur Jr. bass player Lou Barlow and Eric Gaffney. The band began as a side project, but when Barlow was kicked out of Dinosaur Jr in 1989, Sebadoh became his full-time concern. Along with such bands as Pavement and Guided by Voices, Sebadoh helped pioneer lo-fi, a style of indie-rock characterized by low-fidelity recording techniques, often on four-track machines. Along with such bands as Pavement and Guided by Voices, Sebadoh helped pioneer lo-fi, a style of indie-rock characterized by low-fidelity recording techniques, often on four-track machines. The band's early output, such as Weed Forestin (1990) and III (1992), was typical of this style, and wavered between Barlow's wry, introspective folk and Gaffney's psychedelic noise-rock experiments. Following 1993's Bubble and Scrape, Gaffney left the band. His replacement, Bob Fay, appeared on the band's most acclaimed and consistent effort, 1994's Bakesale, which saw the emergence of the songwriting talents of multi-instrumentalist Jason Loewenstein, and the follow-up Harmacy in 1996. Fay left the band before the sessions for The Sebadoh (1999), to be replaced by Russ Pollard. Following the tour to promote this album (2000), the band went on hiatus, with Barlow concentrating on his other project, The Folk Implosion, and Loewenstein working on material for his debut solo album At Sixes and Sevens, released in 2002. The two reunited to play concerts in late 2003 and the spring of 2004. In 2006, III was reissued with a bonus disc and expanded liner notes. In 2007, the band (reunited with Eric Gaffney) will be touring.